Trev and I have only just started planning for our big day. Naturally, we will be making most of our decorations ourselves. I imagine that over the next year I will probably create a lot of different kinds of "wedding decorations," mostly just as experiments. Who knows what will actually end up adorning our wedding. Right now, I'm just having fun with all the overflow of inspiration that comes with this wonderful process! 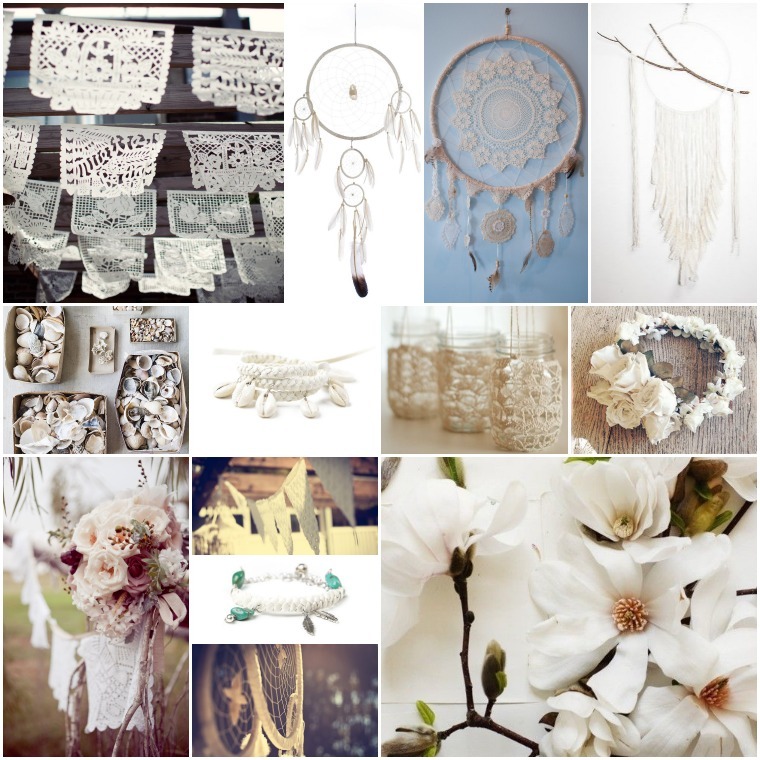 I'm totally in love with the idea of tons of white crochet details, flowy lace, flower crowns, sea shells, feathers and lots of hanging dream catchers! 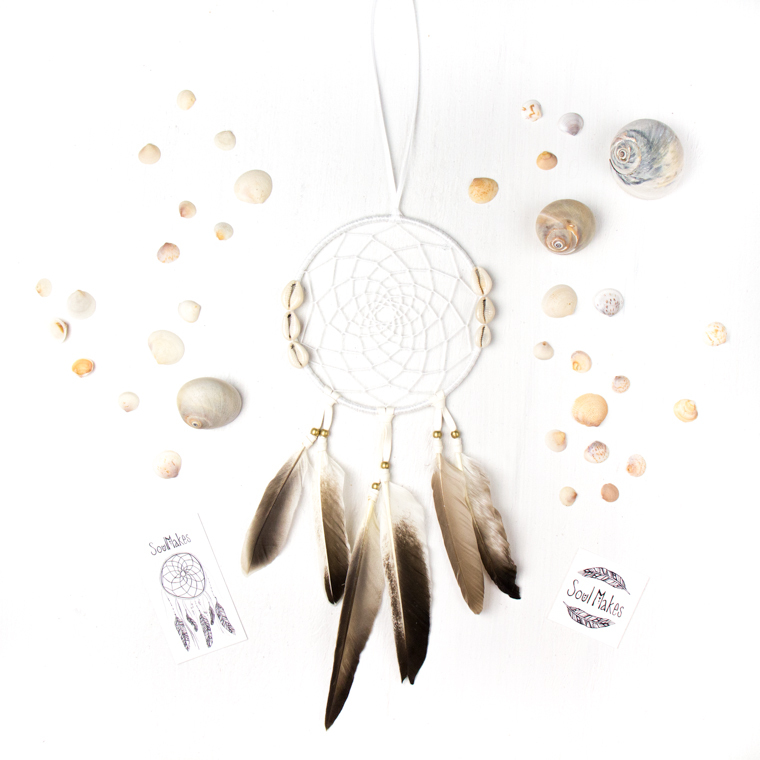 The beauty above is my latest creation, I adore the little cowrie shells. Lately, I'm finding myself so drawn to duck feathers. I love the almost stippling style color patterns at the base of of each one. I also love the way they feel. From a very young age I have been fascinated by feathers. They are such seemingly delicate designs, but if you look closer you can see how all the barbs and hooks stem out and tie into each, like a million tiny little zippers. It amazes me how feathers feel so light and soft to the touch, yet this simple arrangement of nature forms such a strong structure. Not the mention the celestial symbolism. 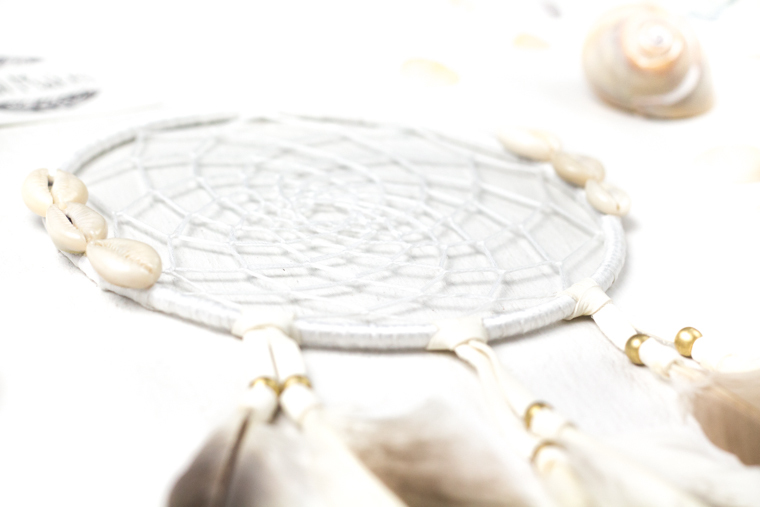 It's easy to associate a feather with freedom, the idea of flying being at the fore front of your mind. Feathered creatures have the power to ascend and descend gracefully without any limitation of gravity. 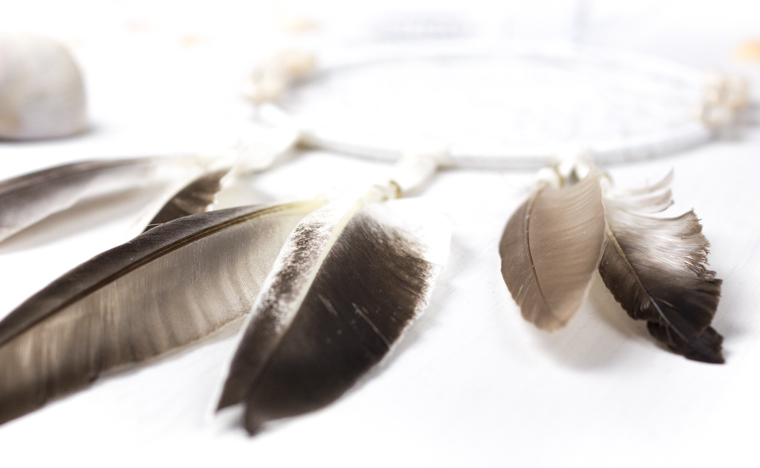 For thousands of years feathers have also been a awarded by many as a symbol of bravery, wisdom, respect, strength and trust. I couldn't think of a more perfect way to represent Trev and I forming this beautiful union! Hope you're all having a gorgeous week!